Designed for residents of Chicago and the surrounding area who are interested in their city's quality of life. Find out everything you need to know to fully enjoy life in this fascinating city! 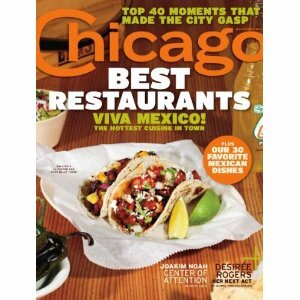 Chicago Magazine features include in-depth articles on entertainment, dining, and theater, useful facts on real estate, health, and education, and stories about the people that make Chicago happen.